Durban - The SANZAR Duty Judicial Officer Adam Casselden has accepted a guilty plea from Bismarck du Plessis of the Sharks for contravening Law 10.4 (c) A player must not kick an opponent, after he was sent off following a Super Rugby match at the weekend. Du Plessis has been suspended from all forms of the game for four weeks up to and including 18 April 2015. 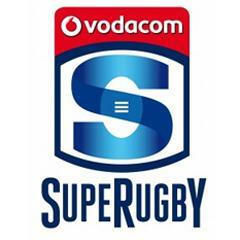 The incident occurred in the 18th minute of the match between the Sharks and Chiefs played at Kings Park in Durban. SANZAR Duty Judicial Officer Adam Casselden assessed the case. "The player’s kick was pre-meditated, intentional and unprovoked. "It was reckless, that is the player knew (or should have known) there was a risk of committing an act of foul play. "In my opinion the offence was a grave one and the possibility of serious injury existed. "The Chiefs' No. 8 was in a vulnerable position on the ground. He did not see the kick, even if he had, he had limited means available to him, given the position of his arms and body, to protect himself from the player’s actions. "Whilst the player claims he was frustrated by Chiefs' No. 8 not releasing him from the tackle earlier that does not, in my opinion, entitle him to retaliate by kicking his opponent in the area of the head with a studded boot. The head is of course sacrosanct. "Swart, the Player’s representative, submitted that the offence was in the lower end of seriousness, particularly given no injury was sustained by Chiefs' No. 8. I was unable to accede to that submission. "Whilst it was fortunate that the player did not sustain an injury, he was nonetheless placed in a vulnerable position and the risk of him sustaining an injury to his head including in and around the eye area was clearly present. "Accordingly, I found that the offence should be categorised as a mid-range offence and that the entry point of an eight-week suspension was the relevant starting point. "I was informed that the player was suspended for three weeks in 2008 for dangerous contact to the head area of an opponent. "Apart from that indiscretion, the player has not been found guilty of any foul play. "In 2012 he received two yellow cards (a red card offence) in the one Test match against New Zealand which resulted in him being ordered off the playing enclosure. "At the subsequent judicial hearing there was a finding by the judicial officer that the referee’s decision to issue one of the yellow cards was wrong. As a result, the red card issued in that Test match was expunged from his record. "Although the player was suspended seven years ago for dangerous contact to the head of an opponent that does not, in my opinion, categorise the player as a repeat offender of the game to warrant any uplift on the entry point as an aggravating factor. "Since 2008 it seems he has been a model player and in my opinion, no other aggravating factors existed for consideration other than those which were taken into account in determining the appropriate entry point. 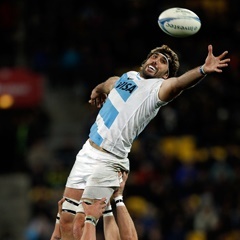 "The player has played professional rugby for approximately 12 years. 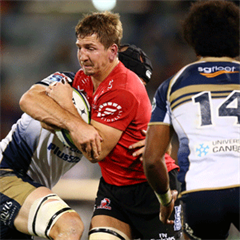 "He has played 77 Test matches for South Africa, 125 Super Rugby matches and in the order of 47 Currie Cup matches. "Apart from a three week suspension in 2008 the player’s disciplinary record is unblemished. "This is his first red card offence in a lengthy first class playing career. "I accepted that the player’s remorse and contrition for his offending was genuine and his acceptance that he committed an act of foul play at the earliest opportunity. "Having regard to the above mitigating factors and the overall culpability of the player’s offending, I was satisfied that the eight week entry point should be reduced to four weeks. "Accordingly, I offered the player a four week suspension as a preliminary indication of penalty in accordance with the DJO process, which was accepted." "The player is suspended from all forms of rugby up to and including Saturday 18 April 2015."